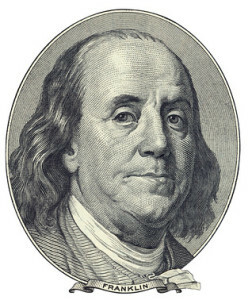 By failing to prepare, you are preparing to fail” were brilliant words spoken by Benjamin Franklin. Undoubtedly, he was referring to a kitchen remodel. All joking aside, kitchen remodels are smart investments, but only if you plan things through and seek professional advice where needed. Organization is absolutely necessary when taking on a project of this size. The last thing you want to do is spend time, money and energy for a kitchen you’re not ecstatic with. Here are some things to keep in mind before going through with your remodel. Use good judgment. You don’t want to include every detail without making sure they fit together. Two beautiful details may make one big ugly mistake when side-by-side. Sometimes simplicity is best. Don’t make rash decisions. There may only be certain areas of your kitchen that need to be re-done. Not everything needs to go in most cases. Don’t tear out your entire kitchen only to find out you could have left some things as is. Decide what needs to go and what can stay. Have patience. This is not a weekend job. It will take lots of time and effort. Prepare yourself for the journey. Functionality is important. Make sure your kitchen is not only beautiful, but also practical. Remember the little things. Think through your daily rituals. Where will you want your toaster? How about your mixer? Make sure you have enough outlets and lighting, as well as space to hide your gadgets. Stay in budget. Things can add up insanely fast. Set a budget and stick to it or you’ll kick yourself later. Stay focused. Think of areas most important to you, and don’t lose sight of them. It’s easy to get influenced by other kitchens and people, but stay mindful of what matters to you. Your life plans. How long are you going to be in this home? Are you planning to have children soon? Is this a resale-focused remodel? Whatever your path, make sure you prepare accordingly. You don’t know it all. If you’re not sure about something, ask. There are experts who remodel kitchens EVERY day. Seek their expertise. Don’t bite off more than you can chew. If you’re planning to do some of the remodel yourself – great. Just make sure you know what you’re getting yourself into. You don’t want to damage anything that will cost you more time and money down the road. Your kitchen remodel is not something to be rushed, so take the time to go through every detail so that you’ll have no regrets. When you’re ready, you’ll know it. Until then, keep in mind Benjamin Franklin’s wise advice.